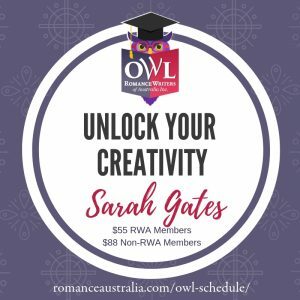 The Romance Writers of Australia Hall of Fame was launched in 2012. An author is inducted into the Hall of Fame based on a stellar, long-time career writing romantic fiction. 2017 RWA President Claire Boston with the 2017 Hall of Fame recipient, Marion Lennox. In 2017 Marion Lennox was inducted into the RWA Hall of Fame at the 2017 Love Gone Wild RWA Conference. She has written over 110 romance novels. Marion Lennox was born and raised in a farming community in Australia. She has taught statistics, been a medical receptionist, and been employed in computing at university. She is married and has two children and lives in Queenscliff, Victoria. In search of an occupation she could pursue from home, Lennox decided to attempt novel writing. In 1988 she wrote a medical romance, Dare to Love Again, which was to be her first published novel. It was released in 1990, and since then she has been a prolific producer of romances. Lennox has won two Romance Writers of America RITA Awards in 2004 and 2006 for the year’s Best Traditional Romance. She has been a long time member of RWA, and a keynote speaker at the RWA conference. In 2014, RWA inducted Emma Darcy into the Hall of Fame. Emma Darcy is the author of more than 110 category romance novels, with unit sales over 60 million since her 1983 debut. She was a driving force in creating and funding the Emma Darcy Award in 1993, which encouraged unpublished authors to finish their manuscripts. The contest ran until 2004, was the precursor to the Emerald awards and helped to launch the successful careers of several of our members. 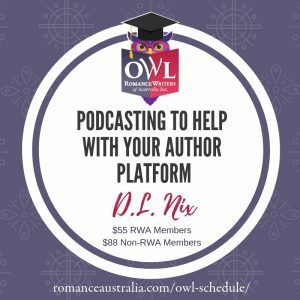 Emma Darcy has been a keynote or featured speaker at no less than five RWA conferences, including the very first one. She has always been a strong supporter of RWA, aspiring romance authors and the genre we all love. We are honoured to have her in our Hall of Fame and delighted she could be with us to accept the award. In 2012, RWA honoured well-loved and respected Harlequin Mills & Boon author Helen Bianchin. Helen was inducted at the Awards Dinner on 18 August at the Diamonds Are Forever conference. aspiring authors on their publishing journeys. She has published a total of 60 romances with Harlequin Mills & Boon. Her books have been translated into 32 languages, sold tens of millions of copies worldwide and appeared on bestsellers lists including USA Today, Waldenbooks/Borders and Nielsen Bookscan. In 2003 Helen was made an Honorary Life Member of Romance Writers of Australia.